Prescott Holden Thorp of Netcong, New Jersey, where he operated his business from his “Envelope Shack,” was certainly one of America’s top philatelists as well as being an especially well known dealer. His field was postal stationery and, in 1943, he followed in the footsteps of J.M. Bartels, editing the fifth edition of Bartels Catalogue of the Stamped Envelopes and Wrappers of the United States and Possessions. He received the Crawford Medal in 1945 for this work—and it eventually became known under both names, Bartels and Thorp. “Pep” edited the sixth edition, renamed the Thorp-Bartels Catalogue of the Stamped Envelopes and Wrappers of the United States, in 1954. This work received a number of awards. His Catalogue of the 20th Century Stamped Envelopes and Wrappers of the United States was published in 1968. Thorp also wrote a popular book, The Complete Guide to Stamp Collecting (1953), and was editor and publisher of the monthly The U.S. Envelope World from 1949 until 1970. But it was his authorship of two basic introductory works on philately that brought this specialized dealer his acclaim by the broader spectrum of philatelists. In 1935, he wrote the well-conceived 116-page book, How to Build a Stamp Collection. It was introduced in the major bookstores of the time (including the New York City Macy’s book department) and, in the time when America had a stamp collector for President, it helped attract countless thousands to the hobby. In 1953, at the urging of publisher Jacques Minkus of Gimbel’s Department Store, Thorp again wrote a basic primer on philately (his Complete Guide) and, for two decades, it was the key classic of its kind. But Prescott Thorp’s main love was stamped envelopes (and of course, his famous pipe). He collected, bought and sold them and became the New York area’s top dealer in this specialty. He had started with the old Scott Stamp & Coin Co. in the early 1920s, becoming editor of Scott Stamp Monthly. 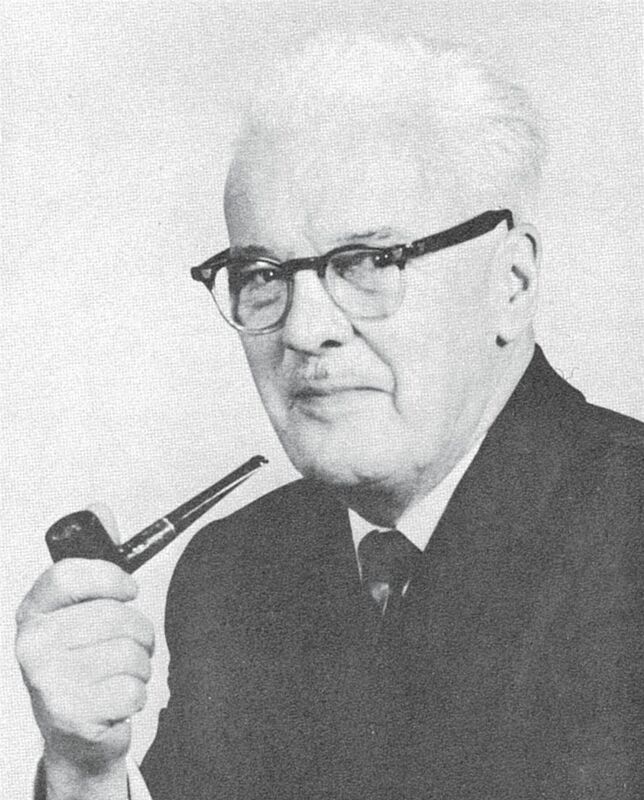 In later years, Thorp served as president of the American Stamp Dealers Association (1964).